Birdwatch Ireland is the largest independent conservation organisation in Ireland and is concerned with the conservation and protection of Ireland’s birds and their habitats. It is a charity funded by annual membership subscriptions, donations, grants and sponsorship. Membership exceeds 15,000. Birdwatch maintains a network of reserves across Ireland, many of which have wetland components. BTO, formed in 1932, is an independent, non-campaigning, scientific research organisation which investigates the populations, movement and ecology of wild birds in the British Isles, focusing on data collection. The BTO operates using professionals and volunteers, both in isolation and in co-operation with conservation agencies and universities. Fundamental research into wetlands hydrology undertaken by CEH and BGS has provided a sound scientific basis for wetland conservation initiatives such as Wetland Vision. The research has also had many practical applications in ensuring the long-term sustainability of restored wetlands. Will wetland restoration be sustainable? 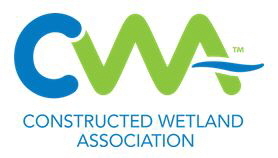 The Constructed Wetland Association (CWA) is a professional association, representing all those who are interested in, and practicing in, the field of constructed wetland technology to promote its application in wastewater management and water pollution control. Ducks Unlimited is a US organization for wetland conservation. Since 1937, DU has conserved more than 13 million acres of waterfowl habitat across North America. Ducks Unlimited Canada provides information for conserving Canada’s wetlands and includes an education section. The Freshwater Habitats Trust (formerly Pond Action) is building on 25 years work, to bring a new approach to protecting our streams, ponds, ditches, rivers and lakes. This provides a framework for cooperation and for ensuring the long-term availability of mapping and monitoring services for wetlands that are currently being developed by different international projects. It moves the development of a Global Wetlands Observation System (GWOS), a long-term endeavour of the Ramsar Convention and the wetlands community, from a conceptual stage to implementation. This aims to restore 3700 hectares of fenland habitat, primarily through linking Holme Fen and Woodwalton Fen National Nature Reserves in Huntingdonshire. Woodwalton Fen is designated as a Ramsar site, because of the plants and invertebrates it supports, and as a Special Area of Conservation, because it is an excellent example of purple moor grass meadow. Expansion of the fenland habitat will be achieved by land acquisition and modification of drainage patterns and management. In addition to conservation, the project also aims to improve flood protection of arable and urban areas in the region. Historic England was formed when English Heritage split into two organisations in April 2015. The strategy on wetlands published by English Heritage ((Van de Noort and Olivier, 2002)) has now been updated. This revised Strategy for Water and Wetland Heritage encompasses a range of freshwater environments and assets, taking a catchment approach. However estuary and coastal wetlands are excluded and fall within the province of the Marine Research Strategy. (a) promote, encourage and, where appropriate, co-ordinate the conservation of mires and related ecosystems. (b) enhance the exchange of information and experience relating to mires and factors affecting them. London Wildlife Trust is the charity dedicated solely to protecting the capital's wildlife and wild spaces, engaging London's diverse communities through access to their nature reserves, campaigning, volunteering and outdoor learning. The habitats explorer includes a section on wetlands and rivers. In July 2016 the Trust launched a new project, Water for Wildlife, which is focused on freshwater habitats in the capital. Woodberry Wetlands is a public nature reserve opened in May 2016 around the Stoke Newington East Reservoir. Walthamstow Wetlands – Walthamstow Reservoirs have been transformed into a new urban wetland reserve for London, set to be Europe’s largest urban wetland and home to an abundance of wildlife and rich industrial heritage. The £8.7M project is being led by the London Borough of Waltham Forest in partnership with Thames Water and key stakeholders including the Environment Agency, Natural England and the Greater London Authority. London Wildlife Trust is delivering the Walthamstow Wetlands project and will be responsible for conserving and enhancing the site’s wildlife and heritage. Final report for a research project into the changing nature of the archaeological resource in England’s wetlands 1950-2000. The project was commissioned by English Heritage, and undertaken by the Centre for Wetland Research, University of Exeter. The National Forum for Biological Recording is a UK charitable organization for practitioners engaged in biological recording across the UK. Membership includes individual naturalists, national organizations and recording societies, and local records centres. Natural England was launched in October 2006 and brought together English Nature, the environment activities of the Rural Development Services and the Countryside Agency’s Landscape, Access and Recreation division. Natural England aims to conserve, enhance and manage the natural environment for the benefit of current and future generations. They are the government’s adviser for the natural environment in England, helping to protect England’s nature and landscapes for people to enjoy and for the services they provide. Formed in 2013 through the merger of the Countryside Council for Wales, the Environment Agency in Wales, certain Welsh government functions and the Forestry Commission in Wales. The concept is to take a joined-up approach to managing Welsh natural resources – ‘natural resource management’ – to tackle old problems in new ways. In addition, to find better solutions to the challenges faced – and create a more successful, healthy and resilient Wales. This project, funded by the Environment Agency, English Nature and the North West Regional Development Agency, identified six potential networks across the region that could be developed over the following 10 years to bring greater benefits to wildlife and people in the North West. The final report (January 2006), maps and other documents are available on the Environment Agency website. The Convention on Wetlands of International Importance (The Ramsar Convention) is an intergovernmental treaty that aims to stem the progressive encroachment on, and loss of, wetlands. Its original emphasis was primarily to provide habitat for water birds. However, over the years the Convention has broadened its scope to cover all aspects of wetland conservation and sustainable use, recognising wetlands as ecosystems that are extremely important for biodiversity conservation and for the well-being of human communities. The Convention was signed on 2 February 1971 in Ramsar, Iran and was ratified by the UK in 1976. The Convention now (2017) has 169 contracting parties around the world and 2,235 wetlands have been designated for inclusion in the list of Wetlands of International Importance, covering over 210 million hectares. The Convention uses a broad definition of wetlands. It includes all lakes and rivers, underground aquifers, swamps and marshes, wet grasslands, peatlands, oases, estuaries, deltas and tidal flats, mangroves and other coastal areas, coral reefs, and all human-made sites such as fish ponds, rice paddies, reservoirs and salt pans. These organizations support the work of the Convention by providing expert technical advice, helping implement field studies and providing financial support. The Ramsar website has a number of useful handbooks and guidance documents. Ramsar Sites Information Service (RSIS) is a searchable database which holds information on the wetland types, ecology, land uses, threats, and hydrological values of each site as well as spatial information. The RSPB manages a considerable area of wetland as bird reserves. It delivers its conservation work through direct action and through working with local authorities, landowners and other conservation groups to protect, improve, expand and reinstate bird habitats. It also comments on government policy which influences the environment and supports research to develop best practice and guidance documents for habitat management. This is not an exhaustive list and a search on the RSPB website will identify individual reserves and projects where wetlands feature. Scottish Natural Heritage is the leading organisation in Scotland that seeks to inspire, enthuse and influence others to manage Scotland’s natural resources sustainably. The Satellite-based Wetland Observation Service will use Earth Observation data to generate mapping products and indicators of wetlands. The service will support wetland conservation and restoration measures with a focus on maintaining biodiversity and ecosystem services. In July 2012 Defra and the devolved administrations jointly published the new UK Post-2010 Biodiversity Framework (http://jncc.defra.gov.uk/page-6189).This framework succeeds UKBAP and identifies the activities required to complement the UK’s biodiversity strategies in achieving the targets. This website provides a large amount of information and many documents on the nature, importance and management of wetlands. The education section of the website has extensive links to activities, guides, education programmes, teaching tools, etc. The Wetland Bird Survey (WeBS) is the scheme which monitors non-breeding waterbirds in the UK. The principal aims of WeBS are to identify population sizes, determine trends in numbers and distribution, and identify important sites for waterbirds. It is jointly run by the British Trust for Ornithology, The Wildfowl and Wetlands Trust, RSPB and the Joint Nature Conservation Committee. WLI is an organisation established in 2003 which is coordinated by the Wildfowl and Wetlands Trust (WWT). It aims to develop a global network of wetland education centres. Wetlands International is a global, non-profit organisation focused solely on wetland conservation and sustainable management. It has established networks of experts and close partnerships with key organisations in order to sustain and restore wetlands, their resources and biodiversity for future generations through research, information exchange and conservation activities, worldwide. It operates in over 120 countries. The Wetlands International website contains a large resource of guidance documents, manuals and reports on all aspects of wetland conservation and management. A 50 year vision for England’s wetland landscape. The Wetland Vision is a partnership between the RSPB, the Wildlife Trusts, Wildfowl and Wetlands Trust, English Heritage, the Environment Agency and Natural England. The Wetland Vision sets out where new wetlands could be created and current wetlands restored over the next 50 years. The website includes maps and downloads and a section on ‘Managing Wetland Heritage – Maps and Advice’. The Wildfowl & Wetlands Trust (WWT) is the UK’s largest international wetland conservation charity. It manages around 2000 hectares of wetland bird reserves which include 6 Sites of Special Scientific Interest (SSSI), 5 Special Protection Areas (SPA) and 5 Ramsar sites. Nine visitor centres are open to the public and welcome volunteers to assist with conservation work. The WWT also has a wetland advisory service which can assist land owners and voluntary groups to improve, restore or create a wetland. Nature’s way: the environment for success: Practical proposals for the Government’s 25 year Environment Plan. Wetland Link International is coordinated by WWT. The aim of this website is to provide easy access to wetland information for wetland practitioners and others involved in the conservation of wetland habitats and species. The Wise Use of Floodplains project was a partnership involving government departments, research organisations and non-governmental organisations (NGOs) in six areas within England, Ireland, Scotland and France. The project took place between 1999 and 2002 and was funded by the EU Life Programme. Five catchments were used as demonstration sites to develop and test a range of techniques from public participation through to the sustainability appraisals of floodplain management options. The Fens and Somerset Levels and Moors were demonstration sites within the project. The World Wetland Network is a global network of Civil Society Groups & NGOs working on wetland conservation. It was set up at Ramsar COP10 in Changwon in 2008, and have been active at every Ramsar COP since then. WWN helps NGOs to maintain contact with each other at and between Ramsar meetings, but also helps with information exchange, sharing of best practice and lobbying on specific wetland issues. 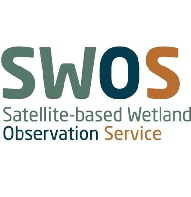 Working with the Society of Wetlands Scientists (Ramsar section) and the Wildfowl and Wetlands Trust, WWN is helping to coordinate a global survey of the state of wetlands, from the perspective of those that live, work or enjoy their local wetlands. Each year, government agencies, non-governmental organizations and groups of citizens at all levels of the community undertake actions aimed at raising public awareness of wetland values and benefits. The Convention’s website reports from more than 160 countries on WWD activities of all sizes and shapes. They vary from lectures and seminars, nature walks, children’s art contests, sampan races, and community clean-up days, to radio and television interviews and letters to newspapers, to the launch of new wetland policies, new Ramsar sites and new programmes at the national level. WWF International is one of the 6 Ramsar International Partners. WWF works around the world to preserve wetlands, working in partnership with NGOs, local communities and across government borders. It engages in a wide variety of projects to protect habitats and conserve these vital ecosystems. Authors: Mackenzie, S.M. and McIlwraith, C.I. A brief overview of wastewater treatment in constructed wetlands. The report, produced by the WWF, describes how wetlands are important to a wide range of activities on which many people rely for their livelihood. January 2004, 34 pages. English Nature has developed the use of biogeographical units known as Natural Areas to set priorities for nature conservation, in preference to the administrative boundaries typically adopted. Core profiles have been developed to describe the significant features, habitats and species associated with each Natural Area. This report summarises the information collected pertaining to the freshwater wetland resource, supplemented by information from the wetland SSSI database and other sources. The information is presented in a series of wetland profiles for each natural Area. Research Report No 204. 1996, ISSN 0967-876X Available on-line, free. This narrative provides an overview of circumstances relating to the conservation of freshwater and wetland habitats in England, considering their ecological function, the natural and anthropogenic factors affecting them, the principles that should be applied to their management, and the respective roles of the main policy mechanisms involved in their conservation. Ramsar Briefing Note 7: State of the World’s Wetlands and their Services to People: A compilation of recent analyses. Review by the RSPB on the importance of floodplain connectivity and dynamics for riverine biodiversity, including information for definitions of ecological status for the Water Framework Directive June 2003, 64 pages. This paper examines the role of wetlands in the Programme of Measures (PoM). Wetland habitats can help to achieve WFD objectives because of their functionality. Wetland loss and degradation has increased the vulnerability of many catchments to negative impacts. Bunting, S.W., K.G. Smith, S. Lund, S. Punch, M.P. Bimbao, M.D. Saucelo and D.A. Santos (2013) Wetland Resources Action Planning (WRAP) toolkit: an integrated action planning toolkit to conserve aquatic resources and biodiversity by promoting sustainable use. FIN, Philippines. Examines freshwater wetland ecosystem science from the fundamentals to issues of management and policy. A joint statement prepared by English Nature, the Environment Agency, DEFRA and the Forestry Commission on the links between wetlands, land use and flood management. The purpose of the paper is to explore the level of agreement and understanding of how these issues relate to each other and identify the opportunities that exist to work on them in an integrated way. October 2003, 23 pages. Nature’s way: the environment for success. Practical proposals for the Government’s 25 year Environment Plan.